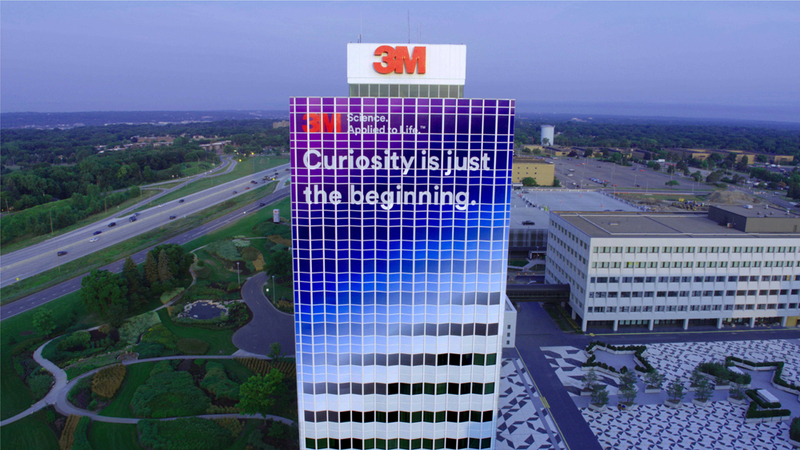 Global innovation company 3M of St. Paul, Minnesota recently used their wrap materials to turn their iconic main headquarter building into a work of art and demonstrate their commitment to curiosity, wonder, and creativity by bringing their internal culture to the outside world. 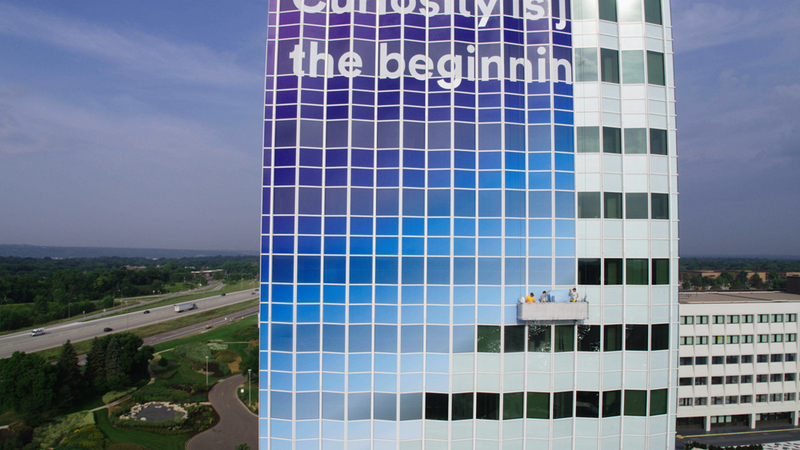 Reading “Curiosity is just the beginning,” the building wrap covers nearly the entire East and West sides of twelve-story Building 220. 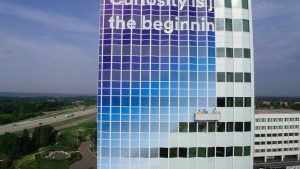 The project included 487 sections per side that fit together like a mosaic to reveal a final image that encouraged people to be actively curious. 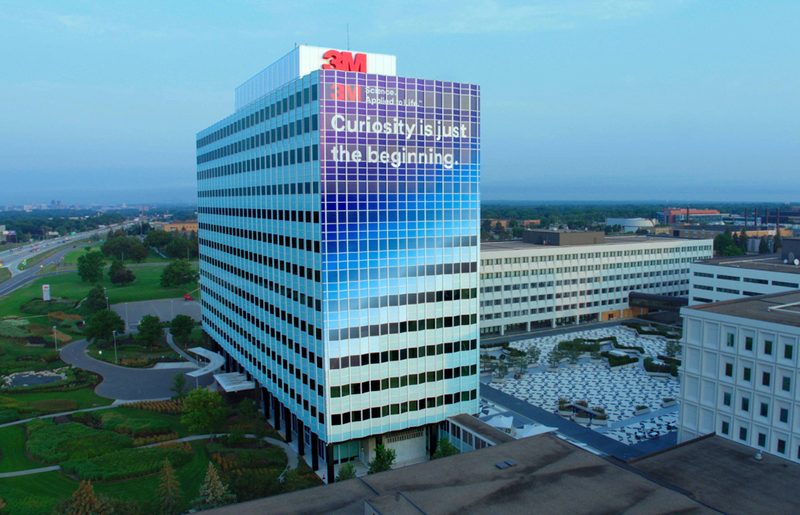 It was also another example of how wraps can be used to create truly unique, innovative designs while allowing artistic expression on virtually any surface—from trains, planes, and automobiles to skyscrapers and everything in-between. 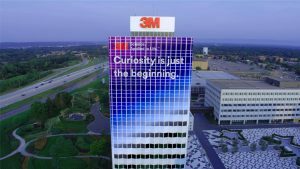 This building wrap is an extension of 3M’s Wonder Campaign, a global effort that demonstrates the variety of ways 3M impacts day-to-day life and showcases the culture of curiosity within 3M. 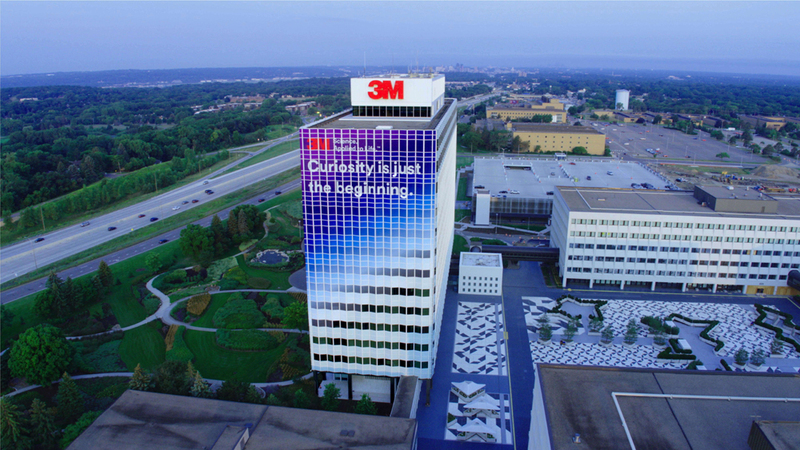 3M application engineers chose state-of-the-art 3M films that were best suited to the building’s unique windows and would provide durable adhesion to the painted glass surface of the exterior—3M™ Controltac™ Graphic Film (opaque for the windowless surfaces) and 3M™ Scotchcal™ Perforated Window Graphic (perforated to cover the windows). 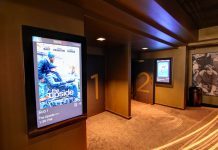 “The perforated film allows for 60 percent of light to transfer through the window into the space inside, while still reflecting color on the outside and providing viewability from the inside out,” says Kading. 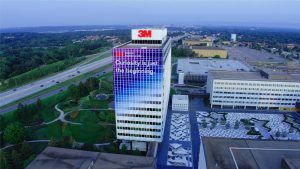 3M partnered with The Vomela Companies, a St. Paul-based graphics manufacturer, to assist in bringing the 220 Building wrap from a design rendering to real-life wrap. It took them approximately 120 hours to print using HP wide-format printer with latex ink. The towering wrap installation took place August 13-16. 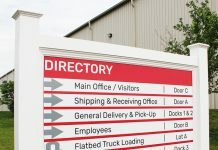 The Vomela Companies recruited a five-person team of installers well-versed in large-scale applications on specialty surfaces—DPI Wraps out of Michigan and another installer outsourced from Las Vegas. According to Kading, the biggest issue for building wraps is access to the building. 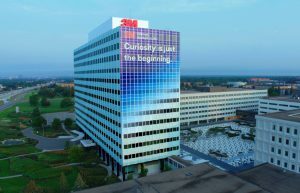 “The installers utilized the 3M window washing equipment, and 3M Personal Safety Division application engineers aided the project with Fall Protection safety equipment and training,” he says. 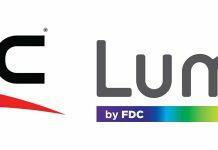 To watch a time lapse video of the installation, visit HERE.